Vinegar has been used for cleaning and other applications since ancient times (Sumeria.) It's one of the most useful, affordable, and green products out there--yet for some reason it's been virtually forgotten in the West! Vinegar comes in all sorts of varieties, and is commonly found in the baking and cleaning aisles at the grocery store. It's a mixture of water and acetic acid, produced via fermentation of ethanol. Vinegar is food safe, very sour, and is often used in cooking as an acidic element to dishes. It's natural, green friendly, and has seemingly endless uses around the house. I keep discovering more since my mom is a vinegar freak. That's right. My mom's been swearing by this stuff for years. It seems like every time I go to my parents' place my mom has another article describing yet more benefits of vinegar. Have you ever used vinegar to clean? Unless otherwise listed, distilled (white) vinegar can be used for any of these cures. Sometimes one of these recipes will specify apple cider or other vinegar types, mainly because they're less offensive to swallow. As far as I know, they all will accomplish the same goals. Fool around, try things out, and see what works best for you. I know for sure that my mom sticks to the cheap white vinegar, and has had no complaints. She's definitely mixed it in water and drunk it, so there's going to be no problem with that. It may, however, be a bit more sour than apple cider vinegar (but to be honest I've never tried apple cider vinegar.) The point is, if you have vinegar, use it! Appetite suppression - Drink this mixture before meals. 1 tbsp. vinegar + 1 glass of water. This will suppress your appetite, allowing you to eat less. Arthritis relief - Mix 2 tsp. apple cider vinegar + glass of water. Drink this mix before each meal to relieve arthritis pain. 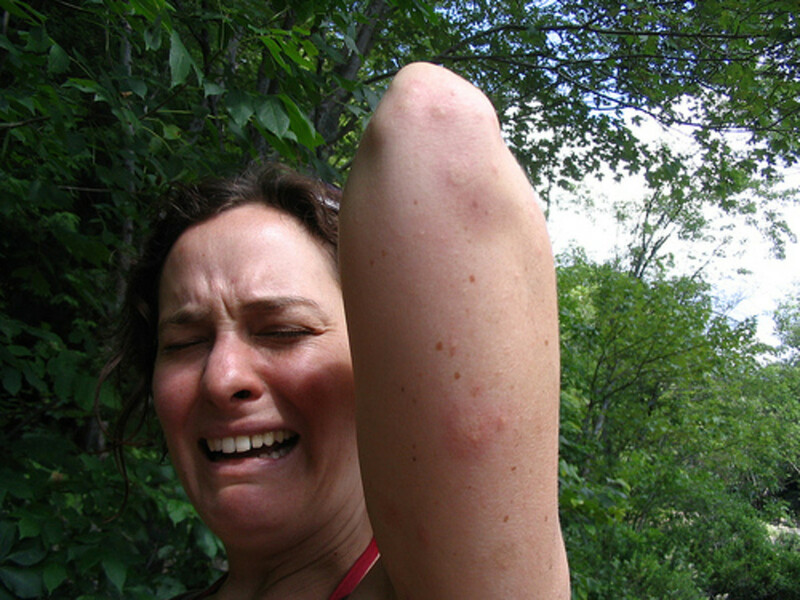 Bee and jellyfish stings - Dab the affected area with straight vinegar. 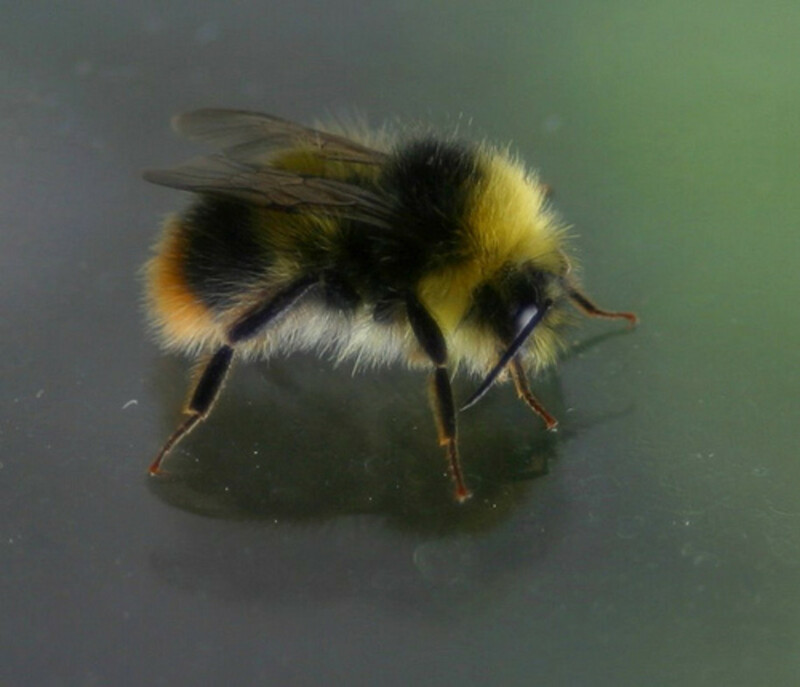 The stinging sensation will minimize or disappear completely. Bug bites - Relieve the itching of common bug bites by dabbing straight vinegar right onto the bites. Chest colds - This will give you some relief from chest colds and sinus infections. Add 1/2 cup (or more) vinegar to your vaporizer. Cough suppression - Mix 1/2 cup apple cider vinegar + 1/2 cup water + 4 tsp. honey. Swallow a tbsp. every time the cough recurs, and a tbsp. at bedtime. Coughing will subside. Dry, itchy skin - Add 2 tbsp. to bathwater; soak in this mixture as normal. Skin will be invigorated and naturally soothed. 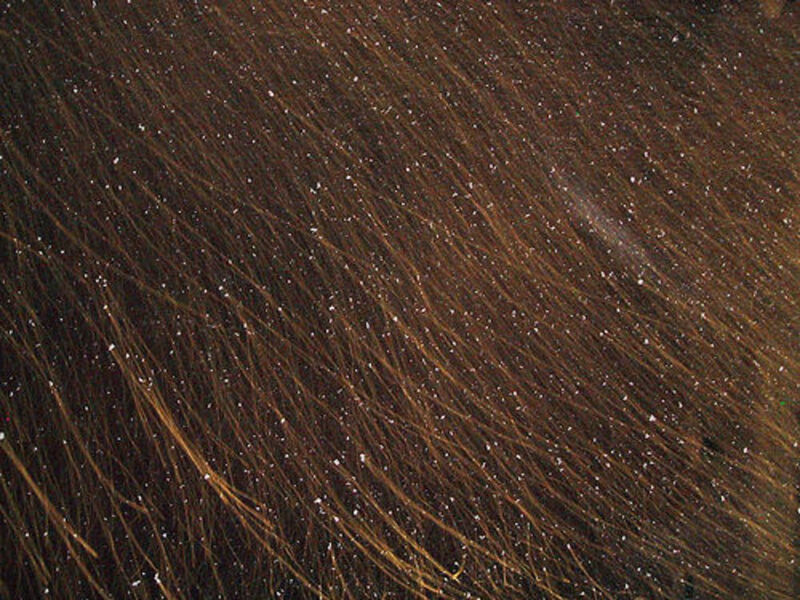 Hair and Dandruff - Mix 1/4 cup vinegar + 2 cups warm water. After shampooing, rinse your hair with this mixture. Apart from fighting dandruff naturally, it's great for getting rid of soap scum and extra sebum left on your hair. The scent is not noticeable, but the softness of your hair sure is! Hiccups - Stop them in their tracks by swallowing 1 tbsp. of vinegar straight. This really works! Sore throat - Mix 1 tsp. vinegar + glass of warm water. Gargle with this mixture until it's all gone. Your throat will feel better; not only that, but vinegar kills bacteria in your throat. 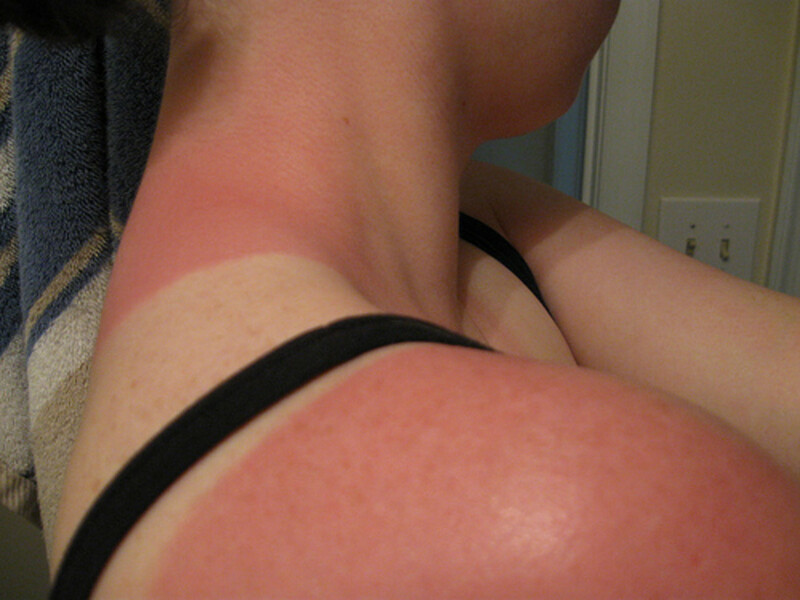 Sunburn - Relieve that horrible burning feeling by dabbing the sunburn (gently) with straight vinegar. Repeat as necessary. Upset stomach - Drink this mix when your stomach is upset for quick relief. Mix 2 tsp. apple cider vinegar + 1 cup water. You can add a couple tsp. honey if you want to make it a little sweeter to swallow. 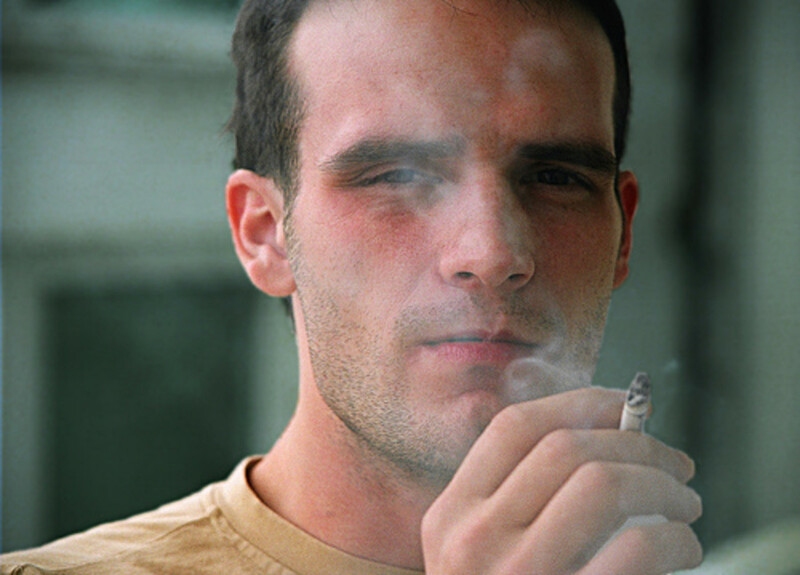 Cigarette smoke - Get rid of that smell of smoke on your clothes! Add 1 cup vinegar + bathtub of hot water. Hang clothes above the water to remove the smoky smell. 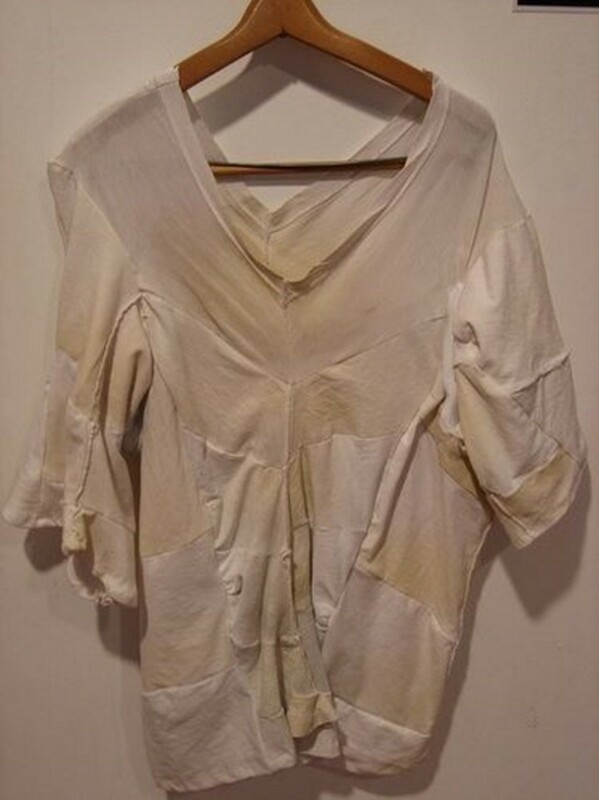 Color runs - Soak colored clothes in straight vinegar 10 minutes before washing. Wash as normal. Colors will not run. Do not exceed 10-15 minutes soak time. Deodorant and antiperspirant stains - Rub affected areas with straight vinegar, then wash as normal. This will increase the life of your shirts! Iron - Unclog your clothes iron fast. Mix equal parts water and vinegar and pour it into the water chamber. Turn the iron onto steam for 5 minutes while resting upright. Calcium and other deposits should come out when you empty the water chamber. Lint - Prevent lint clinging to your clothes by simply adding 1/2 cup to each load in the washing machine. Soap scum - Add 1/4 cup vinegar to rinse cycle to completely remove soap from clothing. 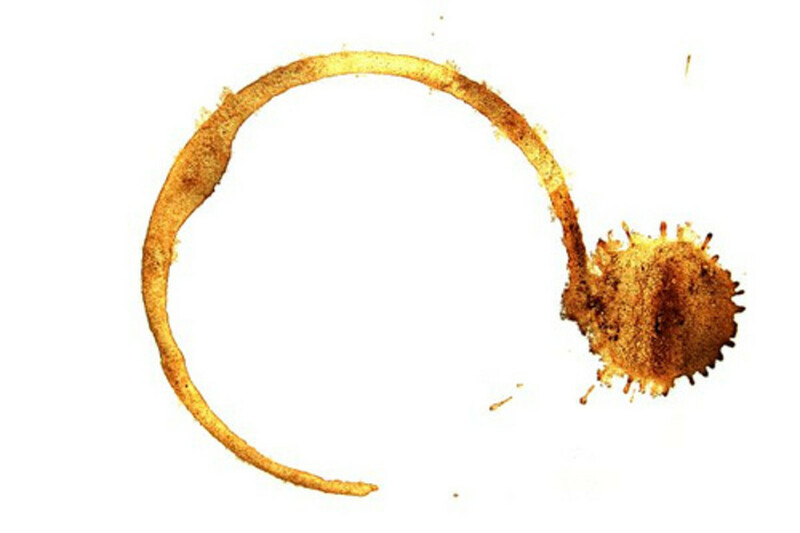 Stains - Coffee, tea, mustard, wine, and fruit stains? Gone. Soak affected area in vinegar while rubbing gently. Continue until stain is removed. Blot dry with a clean cloth and wash as normal. The stains will be gone. Suede - To remove grease from suede, use a toothbrush dipped in vinegar to gently brush grease and grime away. Do not rinse. Sweat stains - Apply 1 part water to 4 parts vinegar, let sit 5 minutes, then wash as normal. Stains will be removed. Wool - Get rid of that gross wool smell by washing normally in mild detergent, then rinsing with equal parts vinegar and water until the suds are gone. Brass and copper - Make your brass and copper shine by mixing 1 tsp. salt + 1 cup white vinegar. Clean pots and pans and other implements with this mixture as normal. China stains - Rub mixture of vinegar and salt onto coffee and tea stains on your favorite china. Stains will vanish. 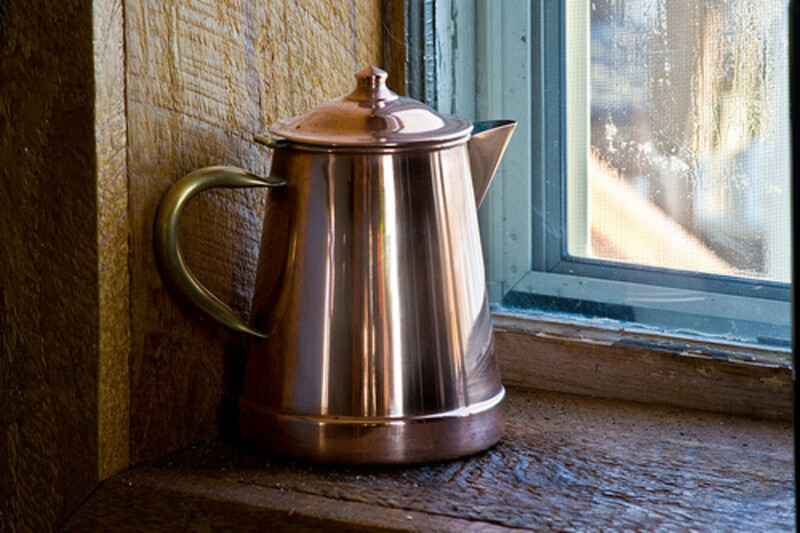 Coffee maker - If your drip coffee maker is plugged up with calcium deposits, fill the water tank with straight vinegar, run the entire cycle (do not inhale hot vinegar fumes!) and then run a cycle of pure water afterward. Calcium deposits will wash away. 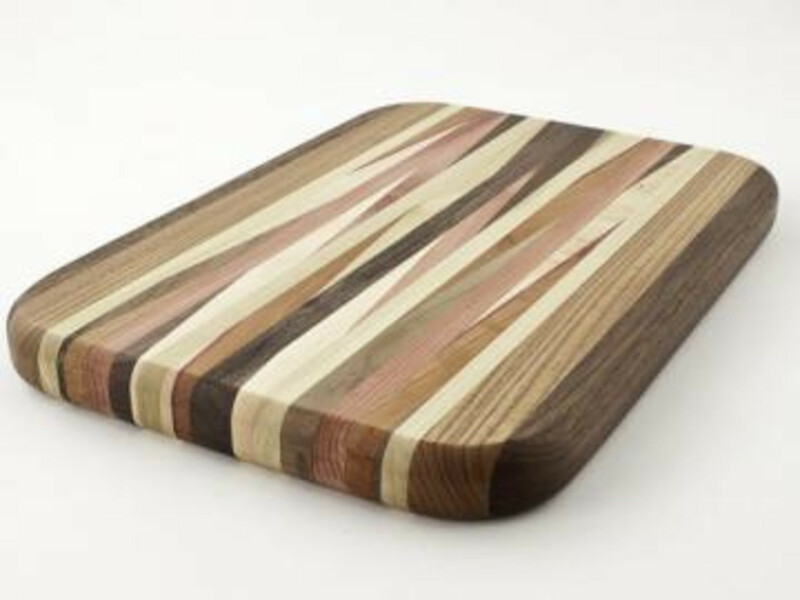 Cutting boards - Disinfect and clean wooden cutting boards by wiping with straight vinegar. No need to rinse. Deodorize drain - Pour 1 cup down the drain once a week to deodorize. Let stand 30 minutes before flushing out with cold water. Dishwasher - Clean and freshen the dishwasher once every few weeks. Add a cup of vinegar to the machine and let it run its full cycle. This will wash away soap scum and calcium deposits that can inhibit the ability of your dishwasher to clean dishes. Eggs - Keep boiled eggs from cracking by adding 2 tbsp. to the water before boiling. Fish - Rub fish with straight vinegar five minutes before scaling. Scales will come off more easily. Fruit stains - Use straight vinegar and a cloth to remove fruit stains from your hands. Garbage disposal - Clean and freshen your garbage disposal as needed. Pour straight vinegar into an ice cube tray and freeze. When frozen, turn on garbage disposal and chuck vinegar cubes into the rotating blades. Run cold water afterward. 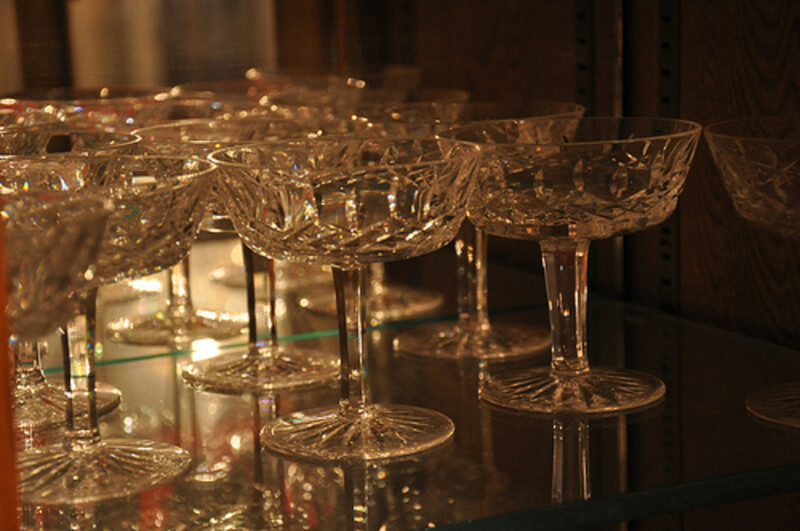 Glasses and stemware - Make them sparkle like new by dipping them into straight vinegar or half vinegar, half water mixture. Rinse with warm water. Hard water stains - Soak cloth in straight vinegar and let sit on hard water stains for a few minutes. Rub the calcium deposits away. Jars - Clean and deodorize jars that you want to keep or recycle. Rinse jars with a bit of straight vinegar to remove smells, peanut butter residue, mayonnaise, butter, etc. 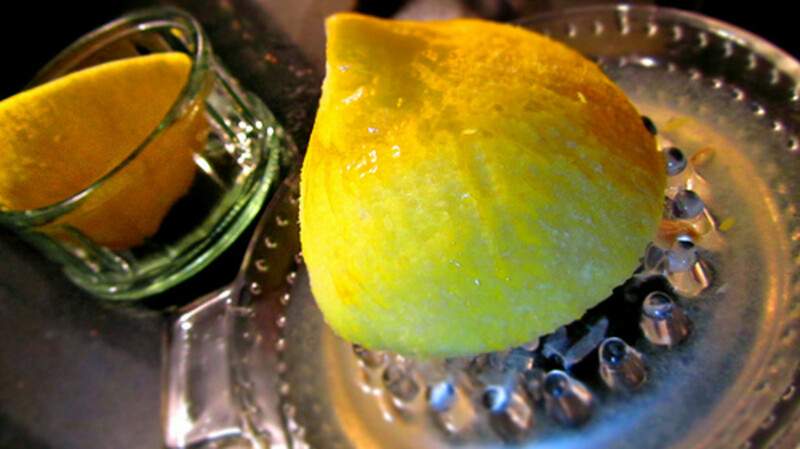 Lemon juice - Don't have a lemon handy? Use 1/4 tsp. of vinegar per 1 tsp. lemon juice called for. Linoleum and Formica - Keep your linoleum floors and Formica counter tops sparkling clean by wiping them with a mixture of 1/2 cup white vinegar + 1/2 gallon of water. 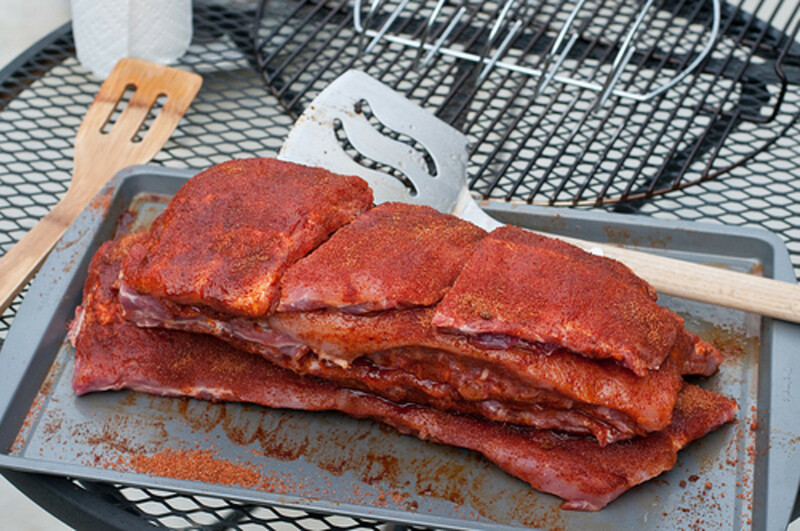 Meat - Tenderize meat by soaking overnight in vinegar, 1/4 cup vinegar for every two pounds of meat. Not only does it break down the tough muscle, but it also kills bacteria. Do not rinse, simply begin cooking. Spices can be added to the vinegar marinade as normal. 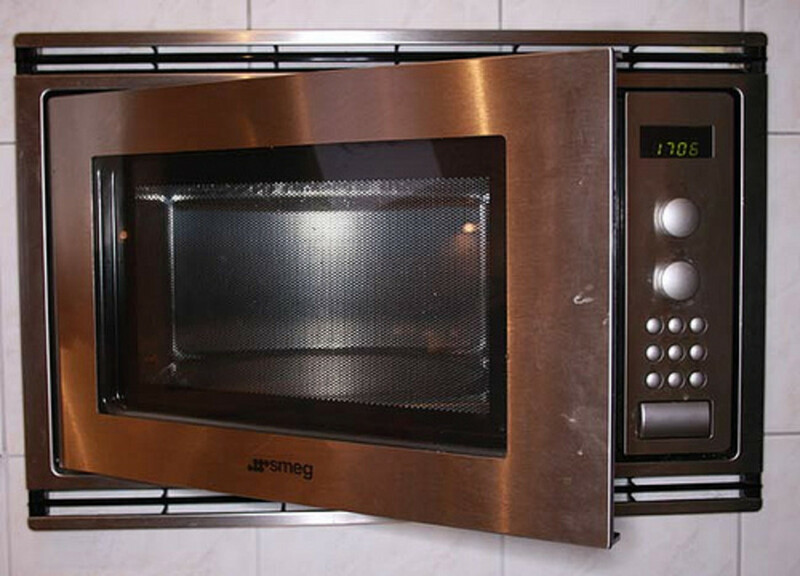 Microwave - Clean and freshen the microwave by adding 1/4 cup vinegar to 1 cup of water. Boil mixture for 30 seconds. This will loosen stuck on food and oil. Simply wipe with a damp cloth to remove food, oil, and stains. Onion odor - Clean your fingers with vinegar before and after cutting onions to get rid of that onion smell. 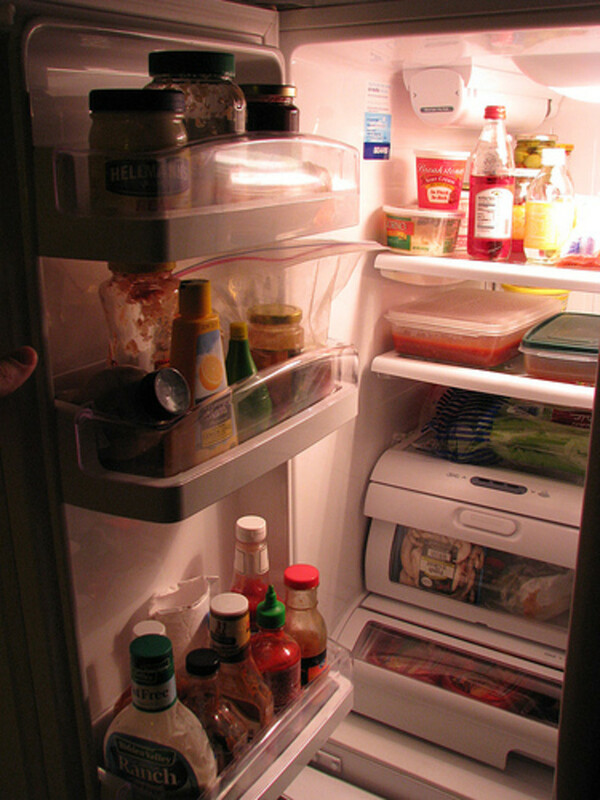 Refrigerator - Clean and freshen the fridge by wiping with a mixture of equal parts vinegar and water. Stains in pots - Boil a mixture of 3 tbsp. vinegar to a liter of water until stains loosen. Clean normally afterward. Unclog drain - Pour 1/4 cup baking soda + 1/2 cup vinegar down the drain. Rinse with hot water. Be careful not to inhale the hot vinegar fumes. Germs - Kill germs on the floor, toilet, sink, and fixtures by spraying with one part vinegar to one part water mixture. Let sit one minute, then wipe clean. 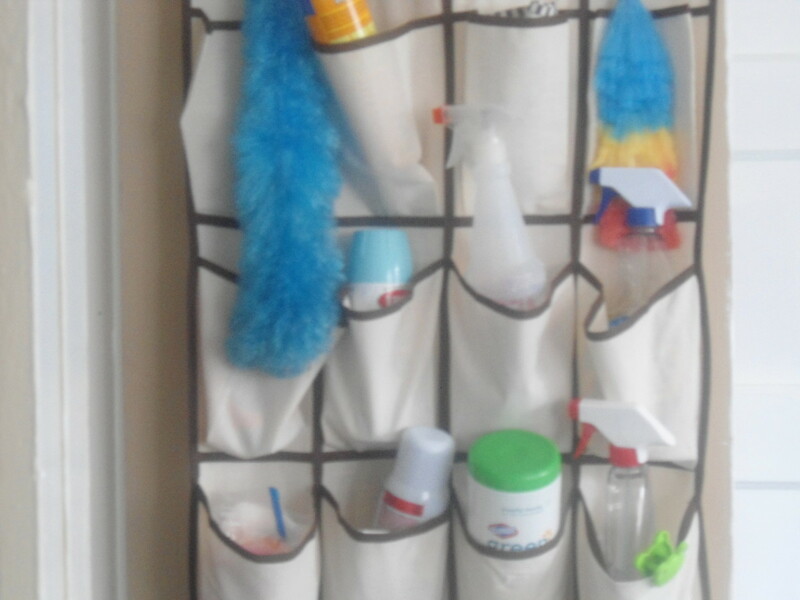 Shower curtain - Kill mildew and wipe away soap scum by wiping the shower curtain with straight vinegar. Rinse with warm water. 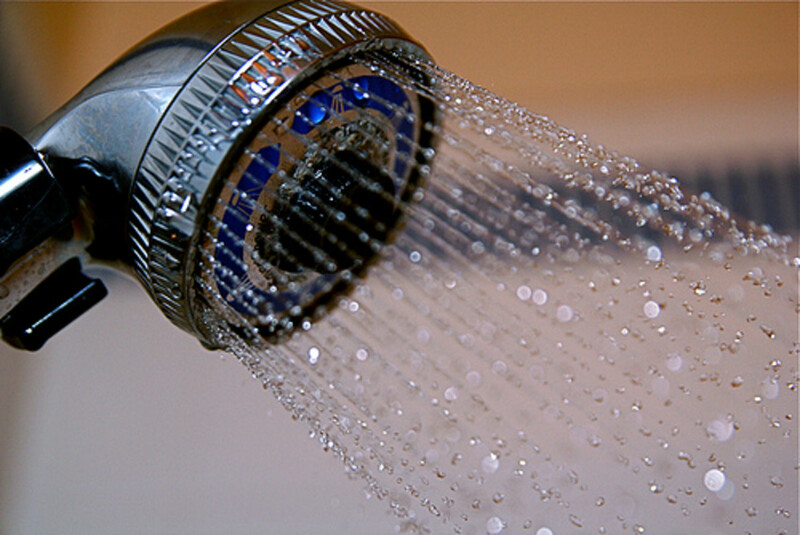 Shower head - Easily and quickly unclog your shower head. For plastic shower heads, soak nozzle in straight vinegar. For tougher jobs and metal shower heads, remove rubber washer and place shower head into pan of equal parts vinegar and water. Simmer for 5 minutes. Rinse with warm water. Soap scum - Remove soap scum around the bath, on tiles, or elsewhere by spraying with straight vinegar or a mix of equal parts vinegar and water. Wipe clean and rinse with warm water. Shower tiles - Remove soap scum, calcium deposits, mildew, and make tiles sparkle like new. Spray with straight vinegar for tough jobs, or half vinegar, half water mixture for daily upkeep. Wipe clean with a sponge and warm water. Toilet bowl - Freshen the toilet bowl weekly by adding 3 cups white vinegar to the bowl. 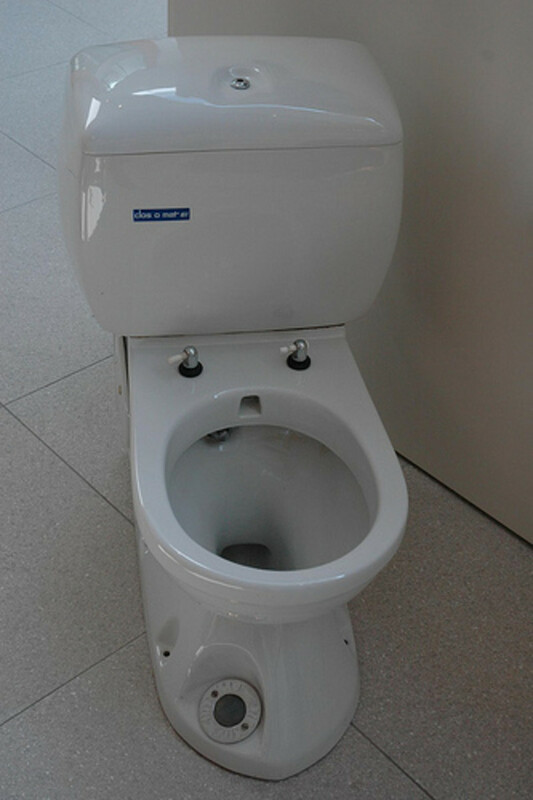 Let sit 30 minutes, then flush as normal. Toilet bowl stains - Spray the stains with straight vinegar, then brush vigorously. Repeat as necessary. I really liked this hub, and I know many of the use, but I found a few new ones. I have been using Apple Cider Vinegar + Lemon Jusice + Honey heated with boiling water for sore throats, especially for those conditions that make swallowing feel like swallowing broken glass. I also drink Vinegar plus lemon juice for upset stomach. Excellent hub. Very detailed. I have used vinegar for my arthritis. The pain is not everyday so I am not drinking vinegar daily. However, when I have a flare up, I will put a bit in my water and I am relieved of the pain later. I'm sure there are tons more uses, so if anyone comes across something, let us know. Vinegar is amazing! Thanks for stopping by and for your awesome comments! excellent hub and great tips. sure will try out your tips. thanks. Glad to see all the vinegar lovers out there. Great point about the allergies and asthma + harsh chemicals. Vinegar (and olive oil) are safe, natural, and fantastic. I've been using vinegar for years! I especially love it for cleaning, but today I've learned some new ways to use it! Thank you, Faceless! My son has asthma and allergies so I am a big believer in keeping things that aren't caustic out of my home! Hi facelss39, an all rounder is this item and you have compiled a great list for really economic and organic natural see. we have no excuse now but to make use of this great natural product. I too enjoy reading about the many uses of vinegar. Who would ever think such an inexpensive product would have so many uses. Great hub! I have tried the drinking vinegar in a glass of water to cute down on hunger trick. It seems to work pretty well for me. The taste isn't the most wonderful in the world but its not horrible. I think its worth a try for those of you trying to cut a few calories from your diet. I'm so glad to see so many vinegar fans! And oh, I actually enjoy the taste. Try it mixed with a little honey! Thanks for the awesome comments! Yay vinegar! I am going to have to try some of these. Some of the cleaning tips, such as the tiles, I need to find a better way. Another excellent article! I already do use vinegar for cleaning but you gave me some new ideas. I especially like the idea of using it to clean the cutting board. You can also use it to clean the drains in the bathroom sink, when they get scum in them. Wonderful. I am bookmarking this one, too! I just wish it didn't taste SO bad! It has many uses, though. Useful Hub. I am also a big fan of vinegar. This is a great list. Bookmarking for future references. Faceless39: What a concise, informative, practical summary of the environmental and human benefits of vinegar! In addition to all of your deep truths, vinegar can be swallowed. Each vinegar has a different taste, with white being the most bitter to my way of thinking. Apple cider vinegar is gentler. But whatever the form, it is good for the digestion. Great list. Great hub. Thanks for all the valuable information. Vinegar is also good for removing gasoline odors from autos. I am just like your Mom, there isn't anything except tooth enamel and marble that it should not be used on. Though if your gums hurt or there is serious goo on your marble counter you can use vinegar. I just would not soak a tooth or marble with it. Friends and family I think are tired of me and my vinegar, but interesting to note when they have a problem they seem to call asking.. .can I......? I love vinegar so much I actually decorate bottles with it and give it as presents. .it makes the perfect spray to have in any room! And don't forget the car, yes I keep a small one there as well. Amazing stuff! This is awesome. 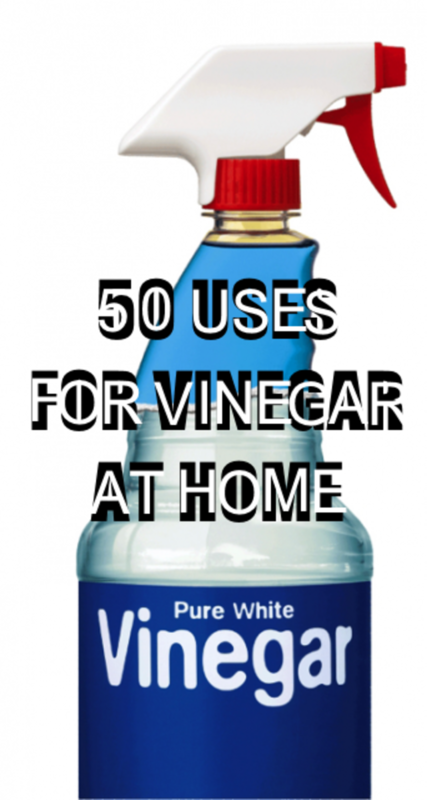 I am a huge vinegar fan, and I always use it to clean my house. I didn't know about how useful it could be in skin problems. Voted up! I love this hub. Great information. I have shared it with my daughter and daughter in law. Thank you for the information. Voted up. Informative article, thanks! Reminds me of "My Big Fat Greek Wedding" where the father used Windex to solve all of life's problems. There are some very good tips here. Thanks for this article. Vinegar is a wonder food! Awesome article I will be using this!!! I am a big fan of vinegar, also. There were many uses in this hub I was not aware of. Nice work! Great article. Vinegar is also one of the few cat pee odor eliminators - and is cat pee not the worst odor in the world to get rid of? Straight vinegar poured on fresh cat pee knocks it out. Great work. Lots of good information about vinegar. My dad is a big fan of vinegar and has tried many of these. (I personally hate the smell of vinegar). Thanks for sharing. This is an awesome list, faceless. Needs bookmarking. I never knew vinegar had so many uses. 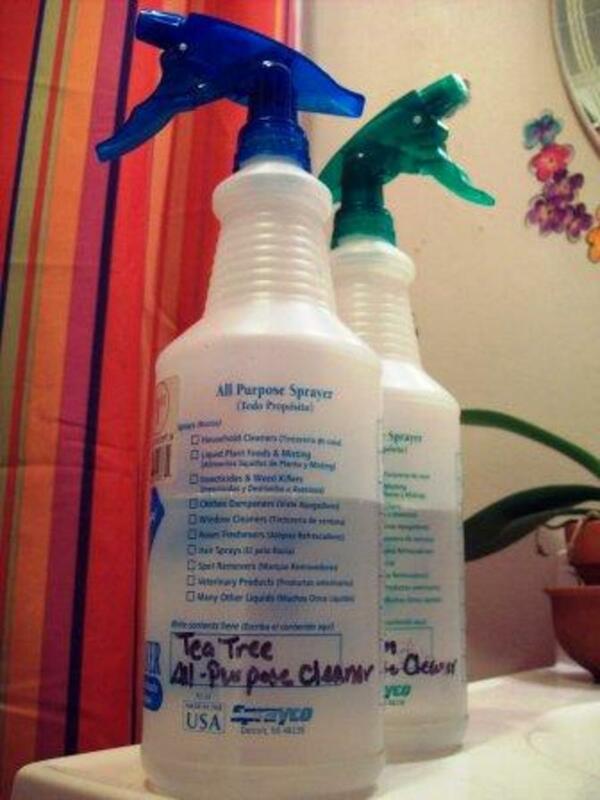 What a great way to clean without harsh chemicals! Outstanding shout-out to vinegar! I knew of some of the uses but not all of these. Apple cider vinegar is ok, I prefer the white. Voted UP/Awesome/etc...!